This limited time offer expires 4/30/19. 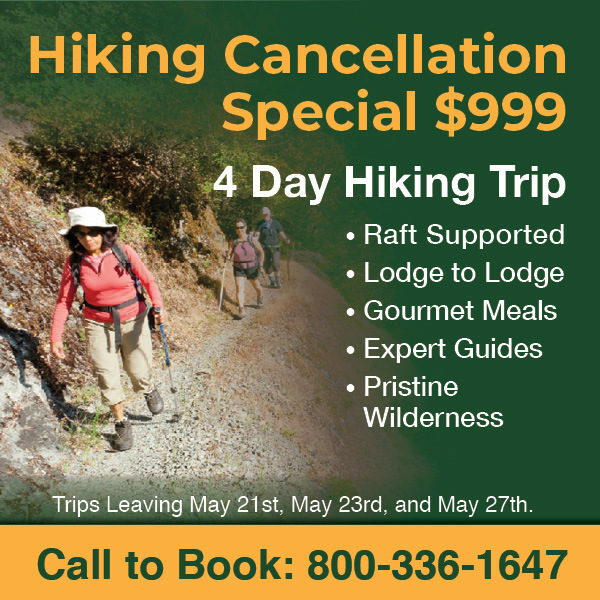 Pay only $999 a person on select* May 4-Day Hiking Trips. Enjoy gourmet meals, expert guides, and pristine wilderness. Trips Leaving May 21st, May 23rd and May 27th.